classic String system. String 2017. 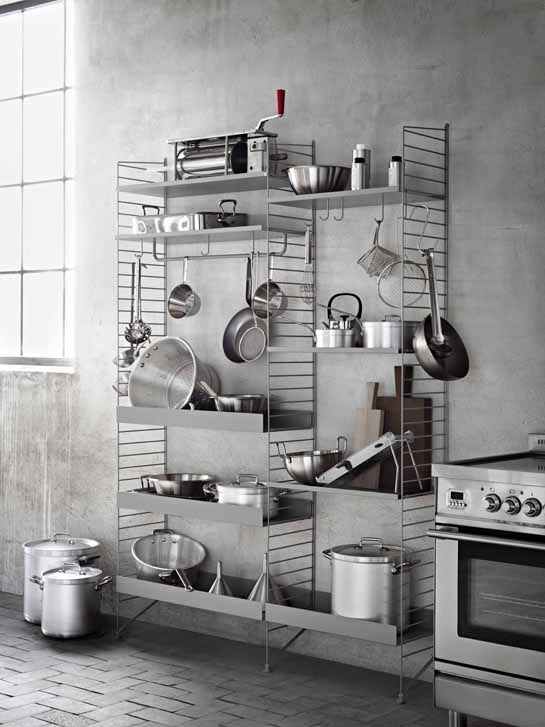 Metal shelves and a series of functional accessories for the String+ range. 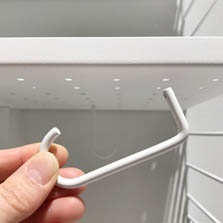 Hooks, hangers, bowl shelves, shoe shelves and organizers. All additions made in collaboration with industrial designer Björn Dahlström. 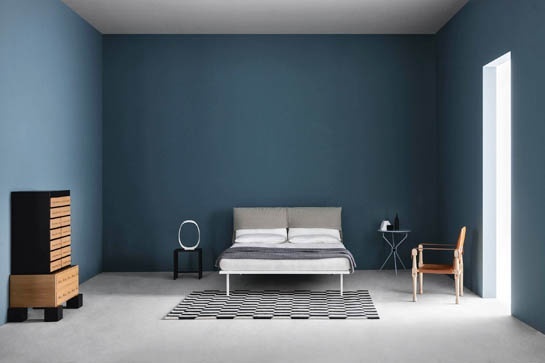 The original String shelf was designed in 1948 by Kajsa and Nisse Strinning. 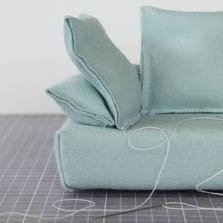 "Bibbi" sofa. Modular seating system with oversized piping for Arflex Japan 2016. Modular sofa system with adjustable back. Anna von Schewen founded her design studio 1997 in Stockholm. 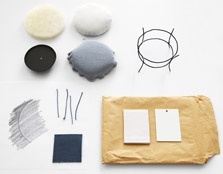 Since then she has collaborated with some of Swedens leading design companies. The nature of her work has given her a solid reputation as one of Swedens most progressive, experimental designers. 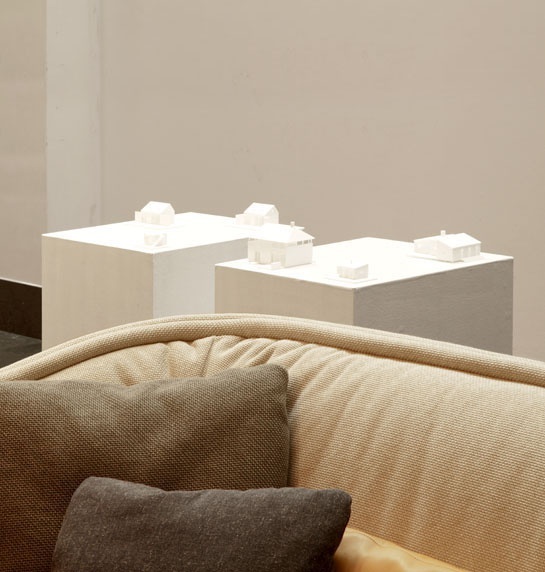 Her work range from furniture and objects to exhibition design, interior and architecture. Cushions placed on top of an upholstered bench forms the relaxed and comfortabe Flick Flack sofa. The adjustable cushions provide a flexible and ergonomic support. The detailing of the edges adds a tactile perception. With its leisurely inviting appearance, the Flickflack sofa is a highly comfortable zone for socializing - or just to relax. "Winterland" Tokyo Design Week. Swedish Embassy exhibition. 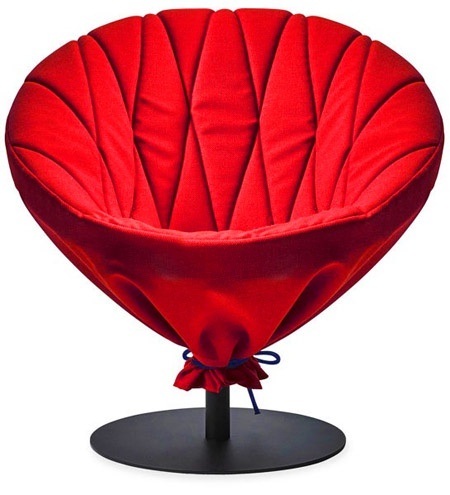 Wrapup lounge chair is aimed not only towards the reception or lounge area. It is equally at home in a hotel room with its space efficient design. Upholstery is made in a pull over manner to make cleaning easy to manage. Wrapup is made in collaboration with industrial designer Björn Dahlström. Swivel lounge chair with small footprint. The Hug chair version that has been etched on my mind all the way since the very start of the project. 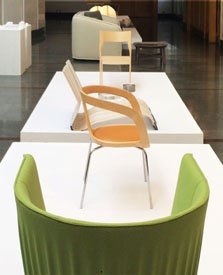 A monomaterial variant of the original chair that has the same CNC processed wooden upper part but a new all wood leg structure. This special version was made for an exhibition at Stockholms Auktions- verk. Own production. "Hug" chair. 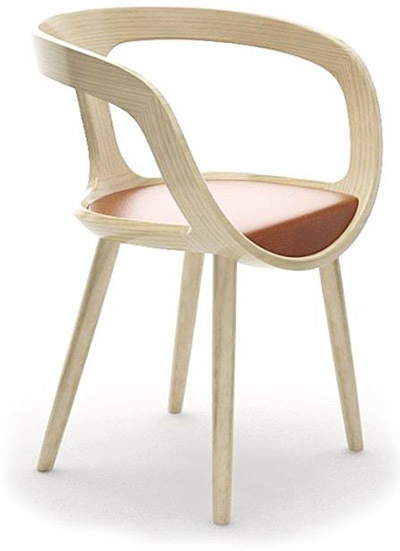 All wood armchair based on the dining chair made by Gärsnäs. 2017. "Pond" table. Glass tables for Arflex Japan 2016. Crafted in wood with a table top in glass. 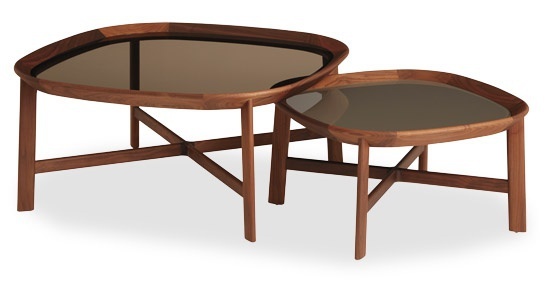 The curved frame that carries the glass table top is crafted from smooth wooden pieces that are carefully, almost seamlessly joined together. 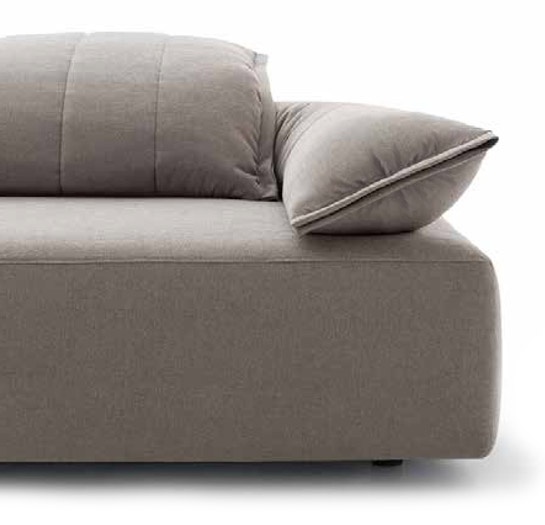 Bibbi is a comfortable and relaxed sofa with a destinct shape. 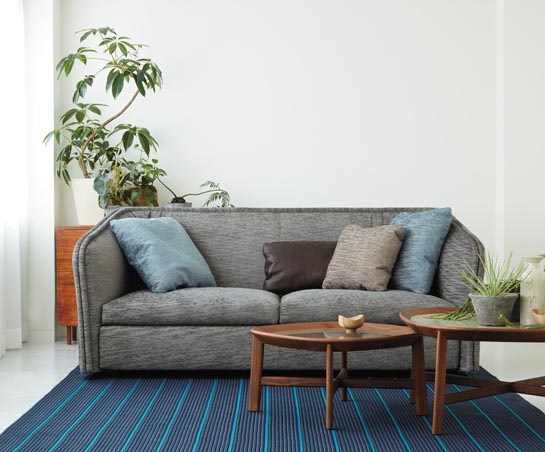 The Bibbi sofa has a slightly exaggerated piping to define its outline. The magnified pipes also gives a personal character. The sofa can be monochrome as well as multi-coloured. This allows it to either blend in or pop out of any given interior. 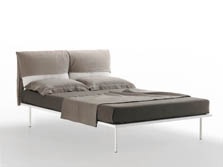 The wider versions of the sofa has a distinct division that gives the high back an fluent appearance. Solo exhibition at the Swedish embassy in Tokyo. The exhibition spanned over 25 years of work. Highlighting both architectural projects and design. "Thissideup" Articles candle holder. Glass and aluminum. 2016. 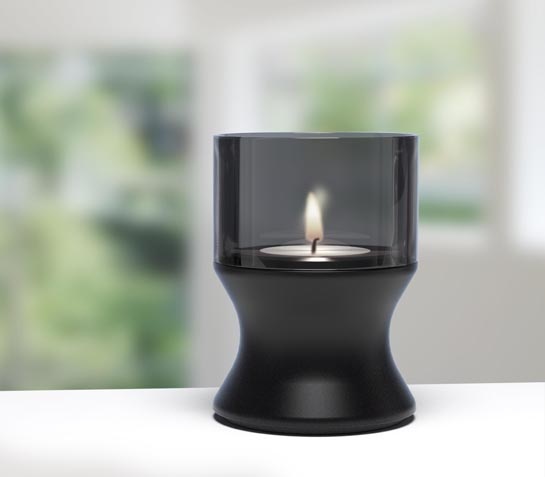 Tea light or candle, just turn the base part around. An accessory that creates a lot of ambience in any environment. "SMERALDA" table and tabouret. Grès, steel and textile. Extension of the Smeralda family for De Padova. All members of the Smeralda family has an indoor and an outdoor version. 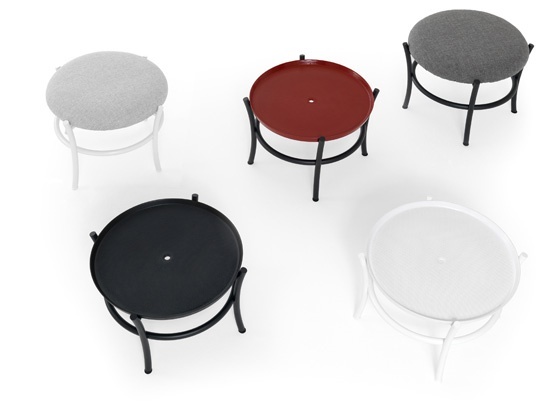 The table top in grès has extraordinary qualities both for indoor and outdoor use. "Cover Bed" Extension of the Under Cover family. Zanotta 2016. Opening a gap in the cover of the headboard "reveals" a different layer of the design with different colors and textures.